We will do out best to accommodate your busy schedule. Schedule an appointment today! 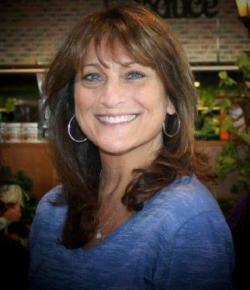 Located in the heart of Mid Rockland, in Pomona New York, Dr. Lynn Friedman and her team of leading health professionals at Performance Health and Wellness are dedicated to helping you achieve your wellness objectives -- combining skill and expertise that spans the entire chiropractic and multidiscipline wellness spectrum. Dr. Friedman is committed to bringing you better health and a better way of life by teaching and practicing the true principles of chiropractic wellness care, while integrating sports related care and rehabilitation. Patients seeking treatment at Performance Health and Wellness with Dr. Friedman and her team members are assured of receiving only the finest quality care through the use of modern chiropractic technology, sports, massage therapy, personal training, nutrition and rehabilitation. Dr.Friedman and her team have a genuine concern for your well-being! If you are new to our website, please feel free to discover and learn about chiropractic wellness. If you are interested in starting your journey towards wellness please subscribe to our newsletter. If you are already a newsletter subscriber, please explore the member wellness section of our website for wellness articles, resources, and health facts---specifically targeted by Dr. Friedman to your wellness needs and interests. "I have known Dr. Friedman, aka Dr. Lynn for some time now. Like many of us she fixes us and we conveniently forget to come back and take care of our bodies, until we have yet another problem. Still, Dr. Lynn welcomes us with her smile and kind supportive words that you know instinctively she really means. Not only has she aided me with the anxiety I felt regarding the unknown cause of my pain and was able to explain how the body works together to create health. There was a particular time I was in pain, on a day she did not have office hours and I wished I had a friend who was a chiropractor, suddenly I remembered that I do..I called Dr. Lynn and she was able to see me and ease my pain. I am an R.N. and I can honestly say that Dr. Lynn and her courteous staff are like no other I have ever encountered"
"Dr. Friedman is a smart and caring doctor, who successfully treated my recurring knee pain 2 + years ago. She has also helped me resolve other issues that my PCP couldn't. She is a true and dedicated healer who continues to be my trusted source for wellness care." "I have been a patient of Dr Lynn's for the past 23 years. After a severe neck injury at work I felt I was never going to get better. With her great compassion and know how, she was able to look at my whole body through Chiropractic, advising me on proper foods to help my body heal, and specific stretches to get me back on my feet again. I truly feel God himself put Dr Lynn in my life. The world would be a better place if everyone had a special doctor and almost life coach as she is..Thank you Dr Lynn..I dont know what I would have done without you." "In the short time that I have been receiving care at Dr Friedman's office, I've witnessed the impact that Dr. Friedman has had on her patients and I have been overwhelmed by the benefits of the chiropractic care that she provides." Laura Hollenbaugh, Stony Point N.Y.